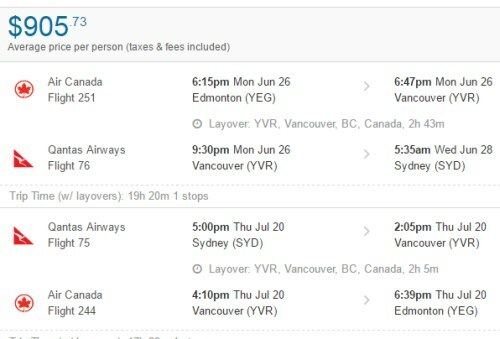 Qantas has dropped the price of a few of their June and July flights from Edmonton to Sydney, Australia down to $905 CAD roundtrip including taxes. An excellent price on a great airline, albeit during Australia's off-season. You can also try searching for flights from Edmonton to Melbourne (MEL) or Brisbane (BNE) using the same dates. 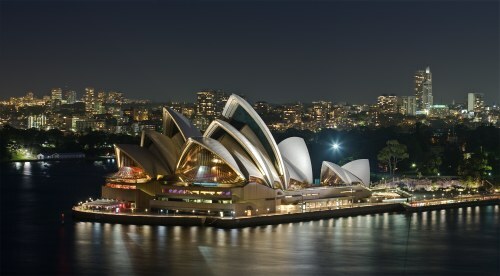 edmonton, yeg, flight deals, australasia, qantas, melbourne, sydney, australia, mel, syd, oceania, brisbane and bne. One Response to "Edmonton to Sydney, Australia - $905 CAD roundtrip including taxes on Qantas"